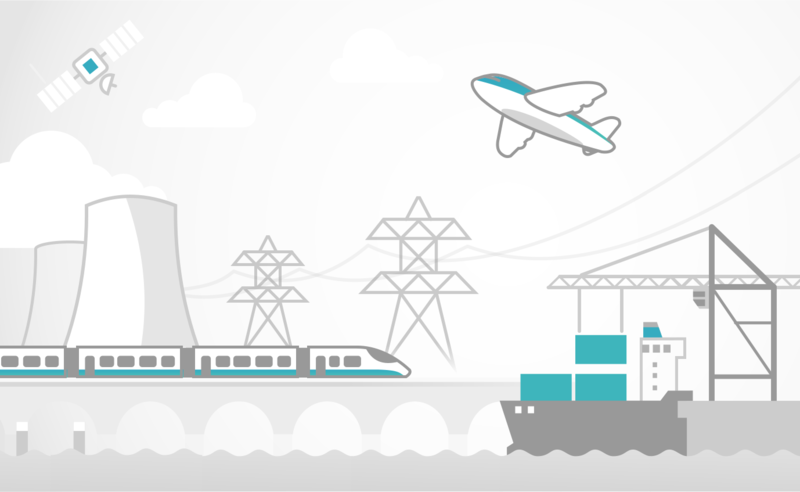 Despite the ever-increasing focus on the state of industrial cybersecurity, accurate and timely threat intelligence for industrial control systems (ICS) remains hard to come by. Worse still, the burgeoning interest around incidents caused by novel capabilities like TRITON can often give way to hyperbolic commentary from outlets far removed from the reality of the situation. To combat this, EclecticIQ Fusion Center has teamed up with Dragos to bolster our Critical Infrastructure offering. Why is ICS Threat Intelligence Different? The operational technology (OT) environment is a distant relative of the enterprise IT environment. Although many cybersecurity best practices are applicable to both, an ICS-focussed adversary’s background, intent and leveraged TTPs are so radically different that we must tailor our own approach. Direct ICS Impact: actors and capabilities seeking to directly impact ICS operations. Examples: Stuxnet, Industroyer, TRITON. Interested Adversaries: actors with demonstrated interest in ICS and operational networks but have not demonstrated destructive or disruptive intent. Examples: Dragonfly, OilRig, Thrip. Indirect Impact: threats not tailored to disrupt industrial processes, but which can impact operations. Examples: Shamoon, Stonedrill, WannaCry. Funnily enough, Dragos’ categories directly map to those we initially established when first designing the scope of product, jokingly naming them ‘Big Dogs’, ‘Sneaky Lurkers’ and ‘Tick Tick Boom’. Like many vendors, Dragos track actors and capabilities according to their own nomenclature. 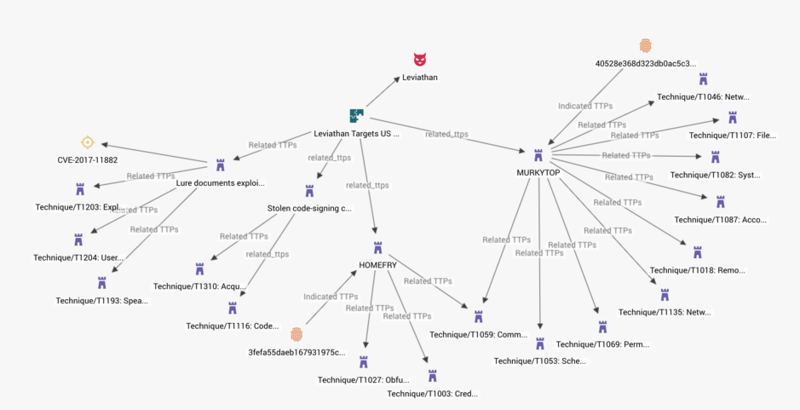 We integrate this nomenclature with all reported actor and malware aliases into a single STIX entity, meaning the actor is searchable in our Platform according to whichever alias an analyst favours – Chrysene is searchable by OilRig, APT34 and HelixKitten, just as TRISIS is searchable by HATMAN and TRITON. This is not total aggregation. There are cases in which aliases can be completely standardised – for example, in TRITON’s case. However, by adding actor aliases to the entity’s metadata we are not necessarily saying that APT34 is OilRig. Threat actors are groups of real people who may move between different organisations, taking their knowledge and tools with them, so the idea that we can track them as distinct entities without any confusing overlap is unrealistic. 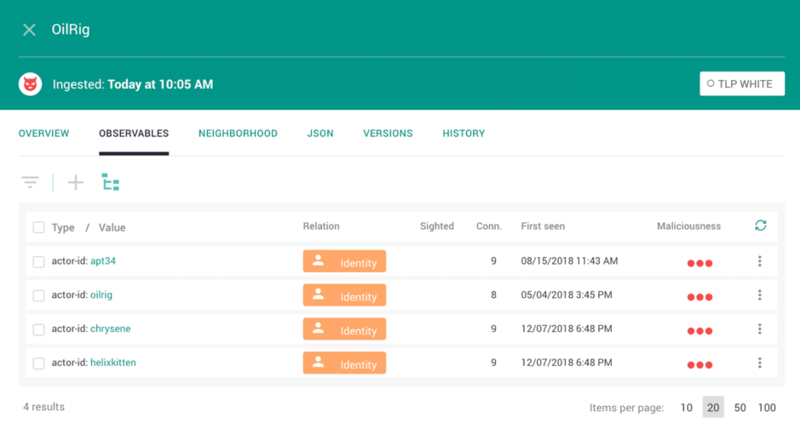 The objective is simply to store overlapping intrusion sets in such a way that analysts can easily understand the points of intersection and divergence as report by each vendor. Dragos’ approach to CTI is closely-aligned with ours in the respect that it is heavily TTP-driven. 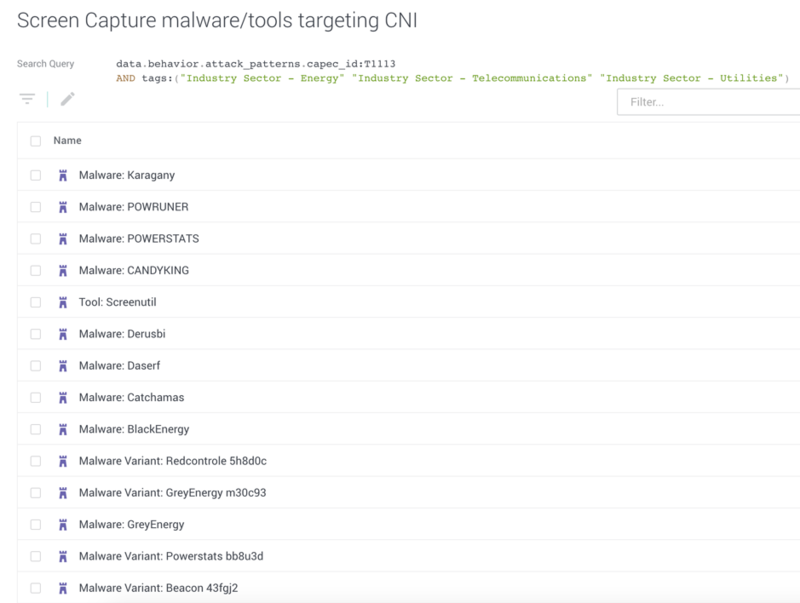 Tracking actors according to their attack patterns and the behaviour of their malware enables analysts to defend proactively, rather than based on static values related to an attack that has already occurred. By maintaining and developing a knowledge base of actors’ TTPs of long periods of time, from campaign to campaign, we can assess which attack patterns they favour and how to proactively mitigate them. By mapping TTPs to high-level categories like Defense Evasion and Persistence we can also track over time which specific tactics are most commonly observed for each tactic in order to prioritise mitigations. See our Critical Infrastructure data sheet for more details.